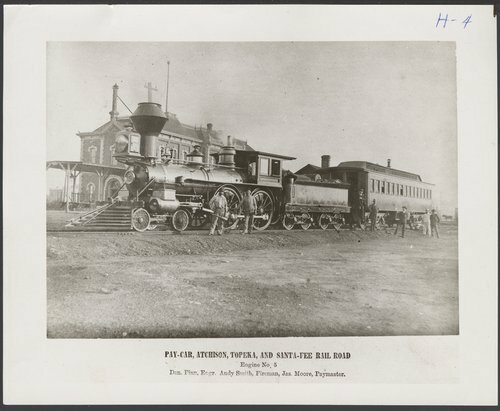 This set of photographs show the Atchison, Topeka and Santa Fe Railway Company's steam locomotive No. 5, also known as "Thomas Sherlock", and pay car, at the depot in Topeka, Kansas. Dan Finn, engineer; Andy Smith, fireman; and Jas. Moore, paymaster are standing next to train.